There are always a great number of tourists on the west side of York Minster, where its facade is. But not so many tourists go to the east side, back of the Minster. This area is a quiet corner. There is St William's College here, built in 1453 for the Minster Chantry, which is said to be one of the most beautiful half-timbered houses in York. The black painted timberes and the white walls provided a vivid contrast. The eaves and the oriel windows are supported by charming curved timbers. The building was named after St William, Archbishop of York in 1154. During the Civil War, Charles I set up the Royal Mint here. Later, it was used as tenement dwellings, but was restored in the 1900s to become the meeting place of the Northern Convocation. Housing a restaurant, St William's College is now used for conferences, exhibitions and receptions. 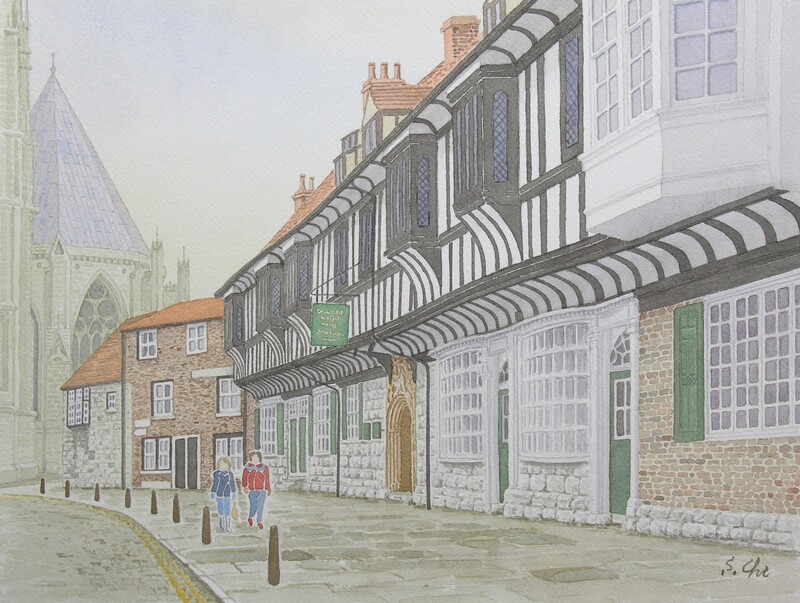 On the north of St William's College, there is the Treasurer's House, the home of the Treasurers of York Minster until 1547. The house, having been repaired in the Jacobean style in the early 17th century, stands on the site of a Roman building. The base of a Roman pillar can be seen in a cellar.